Local Delivery Now Available in Malaysia! We are happy to announce local motorcycle delivery of vaporizers in Kuala Lumpur and shipping via courier to the rest of Malaysia for purchases made at our Malaysia Warehouse & Vape Shop. To purchase from our Malaysia Warehouse and see what vapes we currently have in stock, visit our Malaysia Warehouse page. 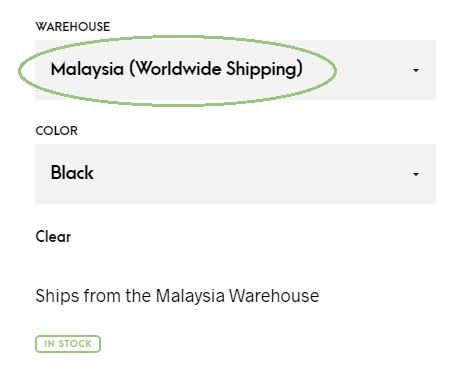 When you add a product to your cart, make sure the warehouse in Malaysia is selected. There will be an option to choose which warehouse to buy from on all products that are available in Malaysia. If you live outside Kuala Lumpur your order will be shipped by courier (covers all of Malaysia including East Malaysia). We offer motorcycle delivery of vaporizers to addresses in and around Kuala Lumpur. 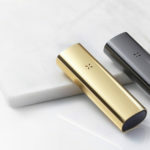 Our inventory in Malaysia sometimes changes but we generally have herbal vaporizers (DaVinci IQ, Pax 3, Firefly 2 and other famous brands), mods & tanks, liquid vapes, accessories, vaporizer parts and grinders in stock. Choose the Malaysia Warehouse on vaporizers available in Malaysia to get local delivery in Malaysia. We can also ship to the rest of the world from the Malaysia Warehouse. We currently accept PayPal, credit cards and Bitcoin. Bank Transfer is also possible to our international bank account in Hong Kong. If you wish to pay via Bank Transfer to a local bank in Malaysia, this option will be available soon. Contact us if you have any questions about the payment methods and we would be happy to find a solution that works for you.